The baked sunscapes of East L.A. invade the Cult of Muscle this week as the boys cover East L.A. Warriors and Ghetto Blaster. It's up to Richard Hatch and Tony Bravo to clean up the streets and it's up to two pinheads with microphones to give them their day in the sun. Orele!!!! 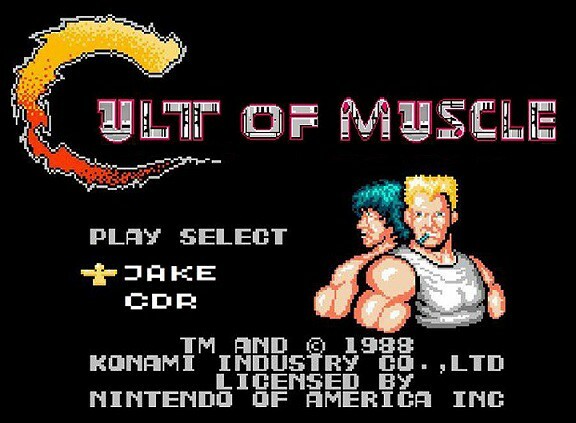 Send in your feedback to cultofmuscle@gmail.com and check out cultofmuscle.tumblr.com! Two angry me, two muscled up freaks of nature recording a podcast. You know what it is. It's episode 11 covering recently released action bonanza The Raid 2: Berandal and digging deep into Oregon's sleazy past with Courier of Death! The bad guys never stood a chance! Send in you awesome feedback to cultofmuscle@gmail.com and head on over to cultofmuscle.tumblr.com to continue the festivities! So we're super duper late, but we're still here dammit! The most unlikely of double features gets covered as we cover Cliffhanger and The Squeeze. One movie's star is notorious for shilling for $7,000 pens and the other is notorious for a conspicuous rat-tail and a penchant for bananas. Our kinda' guys! Vector Hold- "Blue Powder 1984"